with my iPad but had no success. On Wednesday I found another way to use the iPad, and it was great. We had an important software upgrade going on. We are usually doing this at night to avoid interruption during business time. My developers will open a webex conference and share the screens that we can see what is going on. We leave the audio all the time on, if there are needed discussion. Back in time I went to my iMac or took my heavy MacBook Pro to do webex. This time my wife had the notebook and I could not use my iMac, because my son was sleeping in the next room to my office. I decided to install webex on my iPad (free download). And it was great. I just needed to click on the link in the webex mail and the iPad opened the application. After I logged in, I could decide to use my iPad for voice or to call in. I decided to use my iPad. I plugged my headphones in and was ready. The speed was great and quality perfect. At a certain point we were looking through error messages, but my iPad screen is too small to read the messages. I just took my two fingers and zoomed into the screen. This was awesome. After a while a developer gave me control that I could put a password into one of our servers. It worked very well however it takes times to get used to the delay and small mouse pointer. The only part which was missing, was the camera. It seems webex has already camera function available, but I was not able to activate it. On my mac it works just fine. Webex on iPad is simple but effective. I learned that I will do webex in the future only with my iPad, especially if I don't need to be in control or don't need to share my screen. Great would be if could use LogMeIn, to log in my notebook to show others my notebook screen, but then run webex from iPad to share the screen. Right now I would need to use LogMeIn on my iPad and then share webex from my remote computer. If you need to walk sometimes around or don't want to carry a heavy notebook for webex, then the iPad it is. Our install took 4 hours and I did not need to charge my iPad, I still had 50% power left. This is something i would not have been able with the notebook. 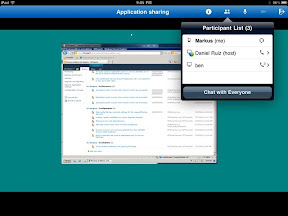 Btw webex works equally good on the iPhone, but I think the screen is too small. here is another view to walled Garden. People might believe that a wallet garden as a app store monopoly will not work, because regardless what Apple will try, they need the consumer and at the end a consumer can drive a lot. Consumers did not like Netflix’s price change and Netflix did feel it. If Apple tries to keep the boundaries too close then the innovation will suffer. Right now it helps Apple to keep the playfield closed to keep a lot of spam, virus etc out. And Apple did need to build the walled garden, because without this, the iPad would not have succeeded, as we can see with android tablets or before with netbooks which don’t have any success yet or are already dead. We see more and more hacker attacks, this costs companies a lot of money and the consumer will lose faith. Recent examples are Sony or some Credit Card companies, which got hacked, in the last view months. Sony even could not get their system for months running - the online gamers were all, but happy. 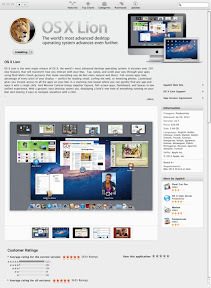 With the ipad, users can very easy install thousands of software with a click. Apple need to keep the system very tied, that the user experience does not suffer otherwise the iPad would have been no success. Apple is moving completely to Internet install, which we can see with the missing SuperDrive in the new products. And therefore no chance to use a DVD to install, but Apple is progressive and drives many times new ways to do things. They started to leave the floppy out of the computer and later the CD. Then they started to make phones without keyboard. All the time people were questioning, but now it is common not to have floppy or phones without keyboard. Apple tries with the ipad the xbox principle - Easy to use, great design and innovative and extreme good pricing. The MacBook Air is a different story. It is much faster than the ipad and a little bigger, kind of mobile but higher in price and still not scalable to not to interfere with the MacBook Pro and to keep the MacBook Pro in game. Maybe they learned with iphone and ipod. The ipod is almost dead, because of the iphone. A big advantage is the Apple app store which other companies are now trying and actually Microsoft had it with Windows Vista before even Apple started with the app store, but nobody had such a good payment model for developers that Apple has now a big advantage. If we compare it with the Google app store, then we can see that most of the android downloads a free and revenue is much less than with Apple. One reason is, that Google does not control enough the store and the OS distribution. Developers have much harder to develop apps for Androids because testing will take forever. And the quality of apps are so bad (because nobody controls the app submission that users don't want to pay for the apps at google because the quality might be bad. There used to be Digital River for buying apps online, before we had mobile app stores, but is was a mess and not easy to find apps. Apple reinvented software distribution and they did it really good. I think Apple found the right riming. We are ready for centralized apps. Consumers knew this from Facebook or even from SalesForce, both have a big app platform. I don’t think that Apple really wants to get rich with software or with financial companies because it is not their core business. Apple uses software to support their services and hardware. But even if so, if the money is too much, then the developers will go away. And if they go away Apple needs and will change their methodology. Again, it does not matter how big Apple get, at the end the developers and consumer will regulate the power of Apple. I think the fight is on between Google, Amazon, Apple and Microsoft all want to have the consumer and mid size companies and offer a 360 degree service - Microsoft with Office 365, Google with Google docs and apps etc. Microsoft developed with Windows 365 and Windows 7 a great office pack, Google is totally concentrating on advertisement, Amazon on e-commerce and Apple will take the usability ticket. All of them are similar and totally different and therefore all of them will coexist. However the big loser might be the Mainframe companies (metapher) like Oracle, IBM, SAP, HP etc. They might concentrate too much on the large cooperation till they figure out it is over, and that even the large companies moved to smaller data centers etc in clusters. I believe Microsoft will move more and more into large companies and Apple will take the small and midsize market. Google will dominate in young start ups which eventual will grow very big. Lion Server alternative to Windows or Google docs? It was time to install a Lion Server after Apple released their latest OS. What were the results? The standard configuration of Lion server is pretty simple. However some knowledge of networks is necessary to set it up. Somebody with no network knowledge could get lost. But to be honest I yet did find any server software easy to install, without basic network knowledge. It is pretty easy to configure the server in a local network because there is no need for things like DNS or SLL certificate. However it gets much more complicated if the server should serve as a web server. Two things are important to have done before configuring the server. A) have all DNS settings ready. B) have already all necessary SSL certificates ready. SSL encryption certificates can cost between $30 and $2000 or more. It is a good idea to bing for the correct certificate, not everybody needs to have all in one certificates. If you have a lot of sub domains then you can use one certificate with wildcard. If you install a Lion web server without SSL then it will get tricky to install the clients. A really positive part is that Lion allows you to apply for the CSR via Lion GUI. The configuration is very easy but not always intuitive and the manual is very poor. Apple seem not take enough time to write comprehensive manuals but at least they look good. Sometimes it is just not clear why a form asks for for domain and host name. It would be nice to get some explanation what the difference is between host and domain name. Apple help texts are far less extensive than Microsoft help. There, Apple can clearly learn from Microsoft. As an example when I installed recently Dynamics CRM, Microsoft did send with the disc tons of documents for installation, migration, configuration etc. And everything which I could not find in Word, I could find at Microsoft online. 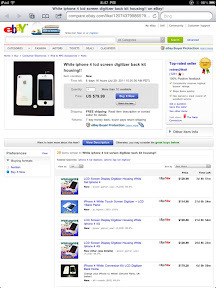 Apple forums and online help is not very good, but I guess it is, because the price tag is much smaller. But other parts of the installation were simple good explained and just one click away. Lio Server install is half horrible to understand and half so easy a caveman could do it. This is weird. Lion allows to remote configure clients networks and connections to servers using the Profile Manager. for the software distribution and settings for clients is Apple Remote Desktop responsible, which is unfortunate not a part of Lion server and costs extra. Profile Manager is not a thick client app, it is unfortunately a web app which works only good with Safari. And it takes forever because you don't call the client from server, you have to open safari on the client to connect to the server to make the connection. A company with 200 clients will take a while, maybe remote desktop would be able to do this. You can use the Profile manager from the server to push changes as soon the first install on client side was done. What does the Profile Manager configure? And some other client settings. Really cool is, that the power is now in the hand again of the IT guy. He can, if he is really in a bad mood, delete the clients with one easy click. The wipe button is everywhere on almost each page of the profile manager and can be easily hit by accident. The client configuration is not always intuitive. Sometimes the system asks for an alternative password but still i have to find out what the reason is to have an alternative password. Did not find anything documented. Lion offers Encrypted connection without VPN for the clients. I can't recommend to do so, it is surely easier without VPN but I might not trust the security. In our company all enterprise apps are only accessible via VPN. But for some parts like a global address book no VPN is much better experience for the user. Most of our sales people even don't know how to switch VPN on. File Sharing, iCal Server, Wiki and address book work like a champ. It is very easy to attach files to appointments which allows to get opened through iCal over other computers. This is almost like a mini document management with CRM. iChat and Podcasting are as well good company functions. However I had no time to test and don't know if iChat allows to add people outside from the company. The mail server is horrible to use. Don't try to create email addresses or to create aliases. This works so easy in Windows but very user unfriendly in Lion. 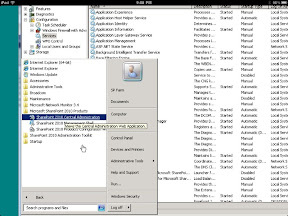 However the build in Anti Spam and Anti Virus softwares are pre configured. A big plus. 6. Why using a Lion Server? Lion is a great server for companies which are too small to move their servers into the cloud but on the other hand don't want to spend $50.000 or more on MS Software licenses. The Lion server offers much more than google docs and and google mail combined and is more likely similar to MS Windows Server with exchange and SharePoint and communicator but as I mentioned before much cheaper. 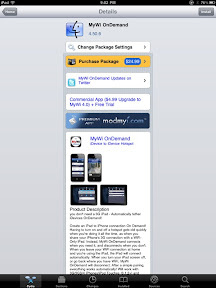 But the really big advantage of the Lion server in comparison to Microsoft is the integration of iphone and iPad. Lion server does make sense, In a time where companies are moving more and more to iPhone as company phones. The integration of address book, iCal and mail is just great. Exchange is maybe more scalable than Lion however Apple does not yet try to attack large cooperations like the government or Siemens. However if Google is able to sell to the government google mail and google docs then Apple will be able too. I can see for large companies parts moved to lion like file server which is much more stable than windows file server and much easier to support. Of course the integration of Office, SharePoint and Dynamics products is much more sophisticated than Pages with Lion Wiki, but we all know that even SharePoint with Office integration is not working perfect and a company needs to have very expensive license (Volume license) to do so, otherwise you can only read office documents in the web browser but you can't edit them in the browser through SharePoint. The installation went wrong, because I have been not in the mood to wait for my DNS and SSL certificate. I got it without running, but have been never sure, if it is s clean install or not. I decided to restart the server and to try the CmD-R recovery mode. In one of the help texts I did read that best practice is to delete HD and then reinstall. I have been almost certain my recovery mode reinstall will not work. But to be honest it rocked. The recovery GUI is very nicely done and very intuitive. The recovery mode will guide you (after deleting the HD) to the main menu which hosts the button for the lion install. The computer downloads again the OS from Internet and when it is done the OS is installed including all server components. After this I could configure the system as the computer would have come just right out of the factory. I created a new user and was ready to rock. I decided to install on my MacBook Pro the remote control for my server, after Lion install number two and a few cups of coffee (black no sugar). however the tool was tricky and I accidentally installed a complete Lion server on my notebook. Of course you can keep the server software offline and use your notebook as just a client, however it is nothing we want to have on a client computer. But how to get Lion Server off without messing up my notebook? Of course time machine. First i copied the TM backup to a local HD which took a while because it was 300GB of data to a USB hard drive. Time for another coffee. After this I started with CmD-R again the lion recovery mode and activated the recovery of the computer from the backup I made. It got late, so went to bed. The next morning I found my MacBook Pro automagically (funny cool word) in the same state as before I accidentally installed the lion server on it. This was cool. Not only (as I wrote) is the New Lion OS easy to install (of course easier than Lion server) but to restore a OS over the Ethernet through TM is absolutely great and almost not easy to beat. Most of this article is provided from a friend of mine in Germany who recently converted to Apple. Since then he bought more Apple devices than I ever owned. Right now he is working on some secret iPhone app (he does not want to tell me what) which, I am sure, will be great. A nice take from somebody i know. Apple might have in mind for the coming months and years. Not having had a chance to use it yet myself, I won't comment too much on Lion, beyond pointing out the obvious that Apple is looking to make it more similar to the iPad. It's clear they're looking to capitalize on the simplicity of an interface that has already won the hearts of millions. With that said, however, I don't think that will necessarily increase the popularity of the MacBook Air, either, as they are two different devices. Nonetheless, this does hint at plans to homogenize the product lines in some ways that give me cause for concern, as I'll get to below. I won't delve into the details of the product specifications, because again, pointing out that they're now faster and more powerful is not only unsurprising, but in and of itself is also not very interesting. What is interesting, however,is that the Air comes standard with a 64 GB Solid State drive, and neither the Air nor the Mini includes an optical drive. To get the obvious observations out of the way, that seems like a very small hard drive. And yes, it means you can't easily install software from a CD, or burn a DVD of your kids to send to grandma. To be fair, it is possible to wirelessly "share"
an optical drive from another desktop or laptop that is so-equipped. But, it seems more clear that Apple intends to do away with them almost entirely in due time. possibilites, I also can't help but feel like Apple is forcing it down the throats of users. and form factor (can make a thinner Air). End users may have mixed views on whether or not these advantages outweigh some of the lost functionality. The obvious alternative to optical drives, at least for software, is electronic distribution. The release of Lion is a perfect case in point. My feeling is that this is less to do with any of the above advantages--true as they may be--however, and more of a nudge for users to migrate to using the Mac AppStore. but more importantly for Apple, it ensures they get a piece of the pie on every sale. My big fear for this is that eventually Apple will setup a walled garden with OS X, much the same as they have for iOS, where everything is locked down in such a way that all software has to be purchased through the AppStore, and approved by Apple. Now, this type of control is not always all bad, of course. It is exactly the reason why their products and software always feel so well put together, seemless integrated, and never in a state of conflict with one another. At the same time, I cannot help but think of a few examples where this has resulted in questionable behavior by Apple, ranging from the ban of iPhone apps created by cross-porting from flash (which has since been lifted), to features like WiFi Sync which are scheduled to be part of the standard platform but are suspected as having been ripped off from other developers. 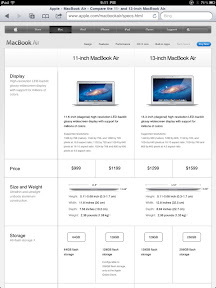 I really hope this is not the ultimate path of the Mac product lines. At the same time, where Apple's approach has always been to maintain control over every aspect of their platform, I would not put it past them, either. Apple released this week Lion and within a few days 1 million people downloaded it. How nice is it to have a company which can make with one product in 3 days $30 million in revenue. As I wrote in an earlier blog, it was easy to install Lion. But since then I got in many trouble and a lot of expenses. Lion is only $29 and I guess one reason why it is so cheap is that it is now 64bit and no Rosetta. Basically half of my programs got either deleted during install or did not work anymore. I had to buy a new transmit, a new version of parallels (Version 5 does not work with Lion). I had to install a flash beta version etc. People would be more frustrated if Lion would cost $100 and they would need to buy more apps. $29 is just the border line not to get pissed. Safari as an example does not have flash anymore. Which I would really not care, because I don't like flash, but instead of not displaying the flash piece, the page loads and as soon it comes to the swf file, the page turns white. The Apple developer forum is full of complains. I love a lot of the new features in Lion, but what the heck is natural scrolling? The standard setting for scrolling is "natural" (as Apple claims). This means when you move your hand down the page goes up, when you move your hand up the page moves down. This is natural when you have two wheels touching each other and one turns up then the other turns down, but guess what my hand is no wheel. And dear Apple developer, take your hand and try to turn a tire you will see that turning your hand down will make the tire turn down. Folders are now without a scrollbar which irritated me. I first thought I lost files in a folder till i figured out I need to scroll. This is fine when looking at something in full screen, then we assume there might be more, but with a smaller window and no scrollbar, means not more content. But not for Apple. I did spend another few hundreds to get adobe creative suit cs4 (to save money). Guess what CS3 got reinstalled because of Rosetta. CS4 does crash every other time. I just can't win. Safari has now a download icon on top right. When you click on something to download it will not anymore open a download window, the only indicator that something is downloading is a blue bar in a mini small icon (at least with a 27 inch screen). Clicking on the download icon opens a bubble, but this bubble is empty, I was expecting to see exactly the download status or at least the files downloading or downloaded. I hope it is only a Safari bug. To see how much space your hard drive has left is now involved with multiple clicks or you need to open info. Folders do not show anymore how much space is left. Air drop, will drop from my radar. the idea behind airdrop is, that when two Lion devices are close to each other that they see each other and open a kind of shared volume. My wife has an older MacBook Pro from early 2008. This machine is too old to have air drop. And yes none of the iOS devices have yet neither airdrop. Speaking older Apples, one good thing with the install was that we have now more hard drive space available on my wife's computer. In total 10GB, because Lion deleted all apps which needed Rosetta. But Apple was friendly enough to leave the icons in the dock that we know what got deleted. However we don't know what other programs got deleted during install. I could not find a text document or something else to see what got deleted. Guys you can't do this. Inform the user or at least create a document. Our MacBook Pro has not the multi touch mousepad, therefore it can not take advantage of all the features and Lion is even harder to use. Apple moved a lot of things around and changed a lot. Lion sounds aggressive and the changes were as such. When Apple presented Lion, they said that closing and open an app will be fast and the app will recognize what you had last open and will save all the time for you, that the user does not need to care where things get saved. Unfortunate these features only work yet on Apple products like Safari, keynote etc. However if you don't have an i5 processor and a SSD drive then you will not like it. A normal hard drive is just too slow and reopen an app takes time and it takes time till a page is loaded again. I closed Safari because a page did hang up. I had 12 tabs open and decided to close safari anyway and so I could get away from 12 tabs. Ten minutes later I opened safari again and guess what, it opened all 12 tabs. Grrrrrrrrrrrr. It is not always good to get to old status back. LogMeIn has now problems with my computer (since the upgrade) I need to install the plugin every time when I use LogMeIn. It just can't remember that I already have the plugin. I love Lion on my iMac, especially new mail program, but I don't like that the OS is still a little in beta (I feel) and I don't like for sure that my wife's MacBook Pro is not powerful enough for Lion. The computer is clearly slower. But it is a 2.6Ghz dual core processor. It is still a power machine (I thought). I liked that I could install Lion on both machines by paying only once, but I don't like that my wife's computer is now connected to my apple account and credit card. Pretty sure she will find it out soon. BTW this was the only way to buy Lion once and then to download it on her and my computer. It is unbelievable. Google plus is growing like weed. The NYT reported that google+ has now over 20million users and it is still by invitation only. And google is trying to male right and did close some celebrity accounts like the one from William Shattner (Star Trek) because they want to build a celebrity version of google+. even there has been already brand pages but they are shut down too, till Google figured out to handle it correct. Google+ gets many code updates right now, the last thing i saw was changes in the chat. 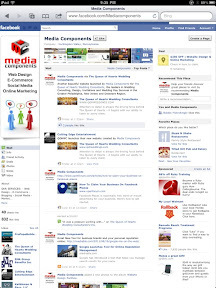 I think it is a good idea to separate brand pages, celebrities and normal people if they can do it. And then google bought fridge on 7/21 which should help to make circles even better than they are already. And there are rumors that google is already working on games module but without the annoying game notifications. Nice would be, if I could post on google plus from my google blog, sure it will come. Google has a buzz this is clear. I already have more action going on on google than on FB. 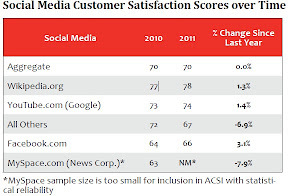 On the other hand Facebook get bad ratings in user satisfaction. A survey, compiled by ForeSee Results, polled approximately 70,000 consumers about the way they feel about various websites, search engines, and social networks. 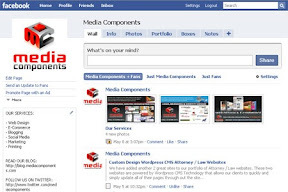 When compared to other social sites like YouTube, MySpace, and the conversation-driven Wikipedia, Facebook ranked dead last with a 66% customer satisfaction rate. Facebook users don't like its iPhone app. The social networking site planned to release an update to the app after more than 20,000 posted negative reviews on Apple’s App store, the Financial Times reports. One user called it the "most frustrating app on the market." I have my issues as well. I am as an example not able to create groups in the app (or did not figured it out) and I am not able to change my app to one of my pages. I have two fan pages, but I am not able to switch to them and use their Identity in my FB app. But FB has still 30 times more users than google+. It is time for an iPhone app called foogle. An app where you can see your combined friends from google and FB and where you can post to both systems. 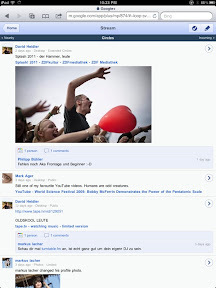 An app where you can chat at the same time with a google+ friend and a FB friend. You would see both in one group chat but they would not see each other if they don't have foogle. This app would make the transition so easier. Right now I need to look in two networks because not all my friend are comverted. Developers, I am waiting for the app. Please let me know when I can get it. I have iPhones since the first generation came out. I never ever broke my screen, till now. After four weeks owning a white iPhone the unbelievable happened. Beginning of this week I cracked my white iPhone screen. It was so bad broken that I decided to go to a place to get fixed instantly rather than ordering the parts online. Buying the set on eBay would have been between $80 and $120 but I would need to wait at least 3 days. I went first to Apple, they told me i would need to send it in and then get a replacement phone for $200. Then I called the iPhone clinic which has close to our office a store. They would charge $179 but the repair will be at the same day. I still thought it is too expensive and so I binged around and found a phone place just a few miles away from my office. They said it would take an hour and costs $129. I thought this is a deal. I drove to them. I started to be a little suspicious when I got close to the store. It was not in the finest district of Tampa. But who cares if the phone is repaired. At the store they told me it will be $140 instead of $130 I complained and they agreed on the price. I had to fill out a paper like at the doctor. My name and address, iPhone type and a description of the issue (I guess a totally broken screen is not obviously). And the paper (which I saw after I signed) stated that there is no warranty (iPhone clinic gives you three months). I gave them my phone and waited outside. It was like a comedy show. I might have been in the african American district and I have been the only white dude within 2 miles. I saw people fighting, singing, smoking pot, two car accidents and guys hitting in the most simplest way on overweight women. 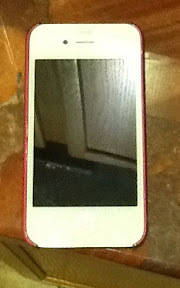 Finally after an hour I got my iPhone back. It seemed to be ok. I tried to take my cover off to see if it is still my iPhone, but the store owner did not like it, he did not want that I break it in front of him. I paid and left. The final price with tax was $129.42 but they charged my CC with $130. Not that I care paying al title too much but still it is 52 cents too much. Before I left with my car, I changed all passwords, just in case. I am almost certain they have now all my private photos (over 2000) in their computer. Arriving at home I had the feeling that the new screen is not as smooth at the edges as before. So I looked at my wife's iPhone and yes my screen is slightly different. But the biggest difference is the rectangle on top. Above the speaker is another rectangle and it has mesh in there (small squares). Below is an original screen. The rectangle is clearly black and not like mine. I basically paid for the work the same as I would have paid at the iPhone clinic, but I paid half for the materials. I might have saved $60 but I did not. First of all the screen edges do feel off and second everybody can see (who has knowledge) that this is not the original screen, the white is even slightly different. I am now debating with me, if I want to replace the screen at iPhone clinic, but for sure I am not going back to the store where I got it repaired, I am afraid they might shoot me, if I complain. But even, if I don't replace the fake screen, I will still lose more money. In september the new iPhone is coming out and usually I sell my phone at eBay and make enough money to get the new one free. But this time I will for sure get less money because of the not original screen. At the end I should have gone to Apple or iPhone clinic. Pay more but get more. 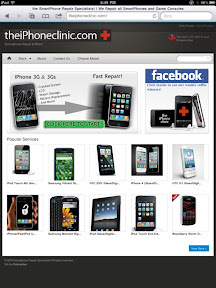 Repairing iPhone 4 screens seems to be a good business. The iPhone is so fragile that SquareTrade did find out, that it breaks 82% more often than the iPhone 3GS. Which makes sense because, it has twice as much glass. Basically 15 million iPhone users will have an accident with their iPhone in the first year, which is a business of around $3 billion and of course growing, if Apple is not coming up with an other form factor or unbreakable glass. 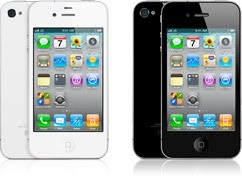 iPhone 4 owners reported 82% more damaged screens in the first 4 months compared to iPhone 3gs owners. 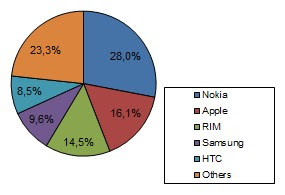 Overall, the reported accident rate for iPhone 4s was 68% higher than for the iPhone 3gs. 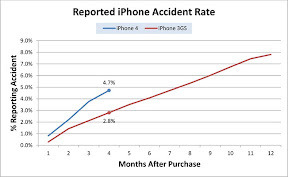 An estimated 15.5% of iPhone 4 owners will have an accident within a year of buying their phone. Unfortunately the iPhone 4 is the most fragile phone on the market , because of it's glass in the front and back. The best thing we should do is to buy a warranty. 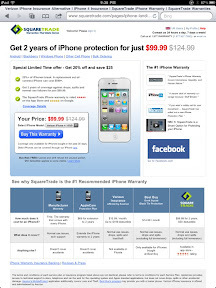 Squaretrade is offering and iPhone 2 years warranty for $99. Even if you have it only for one year it will pay off if you break the screen once. You need to buy coverage through their iPhone app, if your iPhone is older than 30 days. The company gets really god rating and might be our best chance, especially if we have kids :). I got extra early up on Wednesday to download and install the new Lion OS On my iMac. Unfortunately it was not yet available at 4:00am. I had to wait a whole day till I was back from my office. The install was pretty straight forward. You go on your iMac to the app store click on download and voila. The OS is 4GB and can take a while to download. It took with my slow Internet connection a little more than 1.5 hours. After it is done you start install and then it takes (depending on the computer) another 30 minutes to install. At the end the computer reboots and your done (almost). After restart your Mac will inform you that it deleted some of your not compatible applications. In my case it was mostly CS3. Because these old Adobe apps were written for PowerPc and used Rosetta to run on MacOS X.
I had in total 20 programs which showed me that on one hand I could use 10 years same apps and on the other that I was too cheap to buy new versions over the years. It will take a while to open mail, when you run mail the first time after the upgrade. Because it gets completely changed and I have thousands of emails in mail. It took 20 minutes with my mail to be converted. 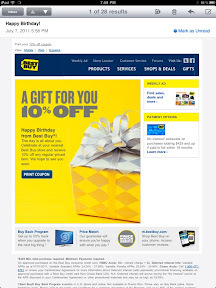 But the new mail is very slick. After all, my computer did seem very slow after upgrade, till I figured out that my OS started indexing for faster search. Because Lion is not an update but a full new install of OS the old indexing does not work. Indexing is done and speed is fine. I think, I never saw such easy install of an OS, I would had preferred if the installer would have told me before installing OS which program will not work after the upgrade, that I could decide to postpone the install. But I guess not many people have such old apps like me. But if you have a design studio am you run CS3 then you are out of luck, you must get at least CS4. There were already thousands of positive ratings for Lion when I downloaded it, even if i did it on the first available day. This is crazy. I don't want to go into all new functions and behaviors, because I am sure there are many blogs writing about it. But what is really clear, is, that the new OS has a lot of similarity to iOS. It is now having iPad with two 27inchs. I like it and Apple did a very smart move. There are over 20 million iPad users and 100 million iPhone owners. Many of them are kids. And Apple is building on Kids. If their first computer is an iPad they might want then an iMac or MacBook Pro when it is time for a new bigger computer. Anybody who never had a PC but an iPad, can instantly use the Mac computer, if Lion is running on it. There are no scrollbars anymore, all is multiple touch like on the iPad. You have a screen to see all your apps arranged as square icons like on the iOS etc. It is iOS on steroids. Microsoft did miss to attract young people, they thought the first computer will be at work and then the people will buy a private computer. Which was true 20 years ago, but not anymore. Today we have computers as young as 3 years (my son has no computer but he knows how to use the iPad and he is 3). In his private live he will most likely never have a Windows PC. When he starts to work he will expect an Apple computer or might be lost the first few weeks because of a different OS. Google does lead the mobile smart phone market with Android, but in tablets still behind (Apple has still 79% market share). And there is not yet a good Android OS for computers. Apple did it right again. But to warm you. You will have some problems with Lion if you used a lot the previous OS. The handling is totally different (as I said like iOS). And they moved a lot of things around. To see now how much space is available on your hard drive you need to go to info, it is not showing anymore in the window, maybe there is a setting but I did mot find it. I talked with a bunch of people and followed twitter, I heard almost only good things about the new OS, but everybody says that they need to get used to how to resize and scroll in windows. I can see that in a few years iOS and MacOs are one OS. Apple did a nice job with new OS and if your computer is not too old then buy it, it OS just $29.99 which is pretty cheap. And I bet because of the low price and the easy install it will be the fastest upgrade of OS ever, if there are no big bugs within the system. You can go to any Apple store and download there or get it from HD installed for free if your home Internet is too slow. Apple knows what service is. I was disappointed I got the notification email from Apple on Wednesday night 6 hours after I installed Lion. They should work on their email marketing. 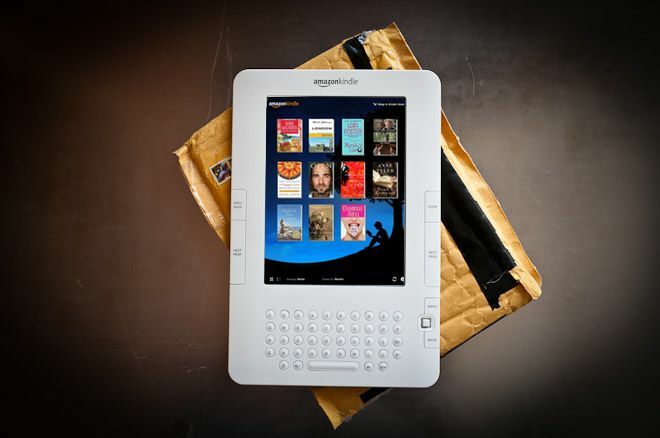 Amazon to release tablet in September or October - danger for Apple? Rumors are out that Amazon is going to introduce a color tablet based on Android In fall this year. Will it be successful? Apple introduced their tablet (iPad first generation) April 2010. Since then many tablets have come on the market with more or less no success. According to a market research, Apple's iPad accounted for 89 percent of worldwide tablet traffic on the Internet in May, easily besting Android-based tablets and other slates. Apple has sold 25 million iPads since the tablet's launch in spring 2010. Moreover, iPad held 87 percent market share in 2010, according to research firm IDC. Another research firm, Gartner, said it believes the iPad will own 68.7 percent of the market in 2011. Android devices, on the other hand, will only have 19.9 percent share this year, the firm said. Why did so far none of the competition pick up on Apple? In my opinion there are many reasons, but mostly because the OS is too limited (like the playboook from RIM, which can only do mail with a Blackberry) or because the hardware is not as light as good and has shorter battery life (like Galaxy and Zoom). Plus none of the tablets are cheaper than the iPad. Another important factor is the amount of applications and the quality of applications. There are already 5,000 apps for Android tablets but the quality of many apps is not good because google does not control the applications. The consumers are ready for another tablet which can compete with the iPad, not because the iPad is bad or the price is too high, but because we don't like to have only one real choice. Amazon has a great chance to be the second winner in the tablet market. Which is an irony because Amazon is not a leading hardware company. But Amazon has something nobody besides Apple has. Amazon has a good app store and does control all submitted apps. It has less restrictions than Apple but more than Google. And Amazon is like Apple a retailer and does know how service and support works which Google is just not good in. Amazon is the biggest online retailer and has a big customer base, therefor they can and will market their apps in their store better than Google. 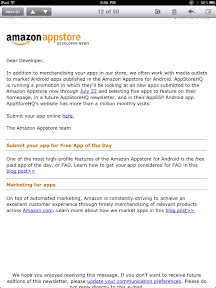 As a amazon app developer i get frequently emails from Amazon with tips and helps to support me or to market my app. There are a lot of complains from developers that Google does not support them . The latest example is Lodsys patent infringement claim. Apple is taking the fight but Google leaves it to the developers. Amazon will and can do it better than Google, and can build a fast thin tablet with long battery life. Even if the kindle is not a tablet, Amazon still learned in the last few years a lot about tablet devices and integrated services. Amazon has not only the retail experience but as well music service, video and ebook experience. A tablet could combine hardware with all these services. If anybody can really compete with Apple on the Android market then it is Amazon. Pretty sure in 2013 we will have 50 or 80 different tablets but only two will share 70% of the market. All others will have together 30%. One of the two is Apple and the second one could be Amazon. 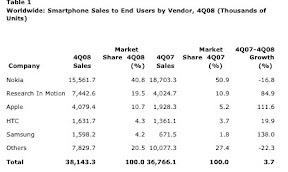 Microsoft can still catch up but yet we need to see a windows tablet or some success with windows phones. Microsoft missed the idea that the OS is not the most important part, it is the services around the OS. 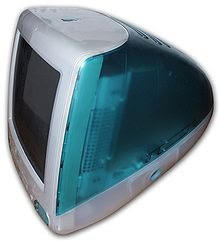 Windows got only so big because there was more services and apps available then for Apple computers. Same happens right now with Apple iOS, regardless if the iOS is great or not, there are so many apps and services available that it would not make much sense for the user to buy something which would limit them. But as I wrote, we never just like one choice, and I believe Amazon could win big against all other tablet manufactures. Now here comes a thesis which is maybe totally crazy. Amazon will grow to the biggest Android market place that in 4 years most of the people won't remember who originally did develop Android. Or do you remember which Linux was the first and who Linus Tovald is? Stay tuned and keep your eyes open for a new Amazon device. Netflix is going to increase the price for their service by 50%. I have right now the cheapest plan for streaming and DVD delivering to my house. It is $9.99 which included one DVD at the time send to my house and unlimited video streaming and I use both a lot. Starting in September I have to make the choice to stream only or to get DVDs only delivered to keep same price or even to be cheaper. Just streaming does not help me because there a videos we like which are not available for streaming, mostly the new blockbusters or some exotic international videos. Getting only DVD delivered is not the answer for us neither, because for the $10 I can have only 1 DVD at any given time. Which allows me to watch max 8 videos a month. It takes two days for Netflix to receive the video and two more days till I get a new video to my house. Not that I am totally upset, the service is still much cheaper than Apple iTunes and has more selections than hulu or Amazon, but I might consider to sign up for amazon prime (which is needed to get unlimited free video streaming). Prime costs only $79 a year and gives much more than unlimited movies streaming. The only problem is that neither my AppleTV nor my xbox 360 can play amazon videos. Of course if I would have a PC (which I don't have, I have only Apple computers) then I could install the amazon unbox player on my PC and then connect the xbox to my PC. The beauty on Netflix is that it works with all my devices. The AppleTV has Netflix, the xbox has it, i installed the Netflix apps on my iPhone and iPad and of course Netflix works on my Apple computer as well. It was expected that Netflix will get more expensive, the costs for the rights are getting higher for Netflix in September, when the new contracts with the movie companies come in place. On the the other hand the long tail idea does not work as expected. Usually the idea behind long tail is that Netflix attracts customers with expensive blockbusters but then the consumer will watch most of the videos which are loyalty free or have very low fees for Netflix. At the end of the first quarter of 2011 Netflix had 21,675,500 subscribers. This is a 59% increase over the first quarter of 2010. But one of the big problems that the Netflix bears point out is that the average revenue per user has been declining. In the first quarter of 2006 the average revenue per user was $17.06. At the end of the first quarter of 2011 this number fell to $11.94. At the same time the costs per customer did grow but 20%. But the good mews is that the acquisition costs did fall extremely. The average costs per new customer is just a little more than the revenue per customer per month. Above statistics are from seeking alpha. 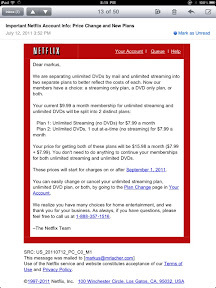 Streaming is much cheaper for Netflix than sending DVDs. Of course streaming a lot of data is expensive but having distribution centers is neither cheap and less scalable. But do you know what the postage costs are for Netflix? $0.56 per DVD. In my case I have in average 6 DVD a month, this already $3.36 out of my $9.99 a month plus all other costs the margins are very low for Netflix (in my case). Netflix will release in the next few weeks their annual numbers, we will see how healthy they are. I am certain that Netflix wants to get more users to streaming only and eventual move totally from DVDs away. But two things should happen. First of all Netflix needs to have all their movies as streaming available and second they have to come to a method that we can stream the specials to DVDs as well. The beauty of DVDs is the extra stuff on it, directors cut, interview etc. Apple is partly offering such extras. I bought as download Star Trek and got a bonus to it with interviews etc. Having all videos as streaming might be very difficult, because international movies might have different streaming rights than sending a DVD. We will see. I will wait till last second, if I stay with Netflix and choose just one service or if I move to other services. As an example my dish provider is offering more and more videos on demand and many series I watched at Netflix I get free at hulu. I could not believe, but there is a website jailbreakme.com where you can jailbreak your iPad or iPhone without computer. 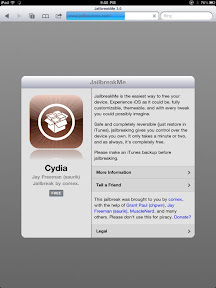 It jailbreaks your devices and installs Cydia. After running Cydia the first time some packages get installed. But I am not impressed. The last time I jailbroke my phone was two years ago and it was fun because many cool functions were available which are not with original iOS and all was free. But now most of the stuff costs money. To get free tethering costs $25 and a better keyboard $3. It is for sure the easiest way. I remember it took my in the past hours to jailbreak my phone and needed to connect it to the computer. Now you just go to jailbreakme.com and click on install. 30 seconds later the phone or iPad is jailbroken. Most of the apps are for iPhone not so many for your iPad. I installed categories which allows to have folder in the spring board. Works fine, however you need to reboot your device all the time when you install an app. The app store in Cydia is everything but nice. Hard to find what you are looking for. But Cydia is perfect for people who like to modify their device. Best thing for Android lovers, as they are famous for spending hours to set up their phone. 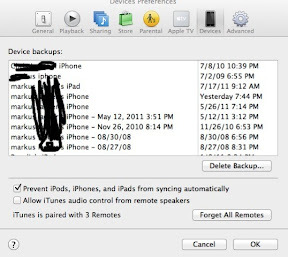 Many apps are for older iOS versions which allows you to do things which was in earlier versions not possible but not included in iOS like folders. If you are happy with your phone and don't need tethering then no need to to jailbreak. But the good news is that you can anytime restore it back by using restore in iTunes. Unfortunately your phone will not be jail broken with next OS update which is coming soon. Today I decided to test in full google music with amazon cloud music. 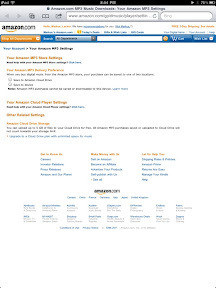 To install amazon cloud player you download for your mac an installer and then run the installer. The whole installer inclusive icons looks like build from a Linux techie. 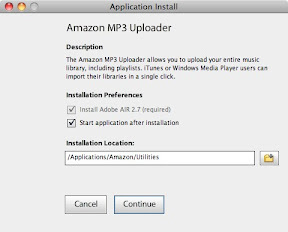 Amazon installs an app to upload files to the cloud and finds automatically your iTunes music folder which is in my case not on the local drive.But it does not let me choose from the beginning it just starts scanning. However you can stop and manually choose your folders. The upload app is simple but gives good information. You can see how much GB is left and how much you would need to upload your songs. Unfortunately the first version did not work well on the iPad. But the latest web version does work fine. but it takes a few seconds till a song is playing. 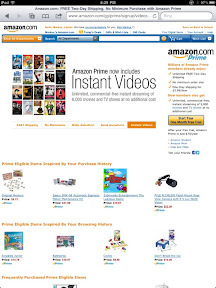 Amazon look and feel is simple and easy to understand. It has shuffle, playlist and preview of CD cover with title and lengths of the playing song. Uploading songs took about 30 seconds per song (I have a slow Internet connection). 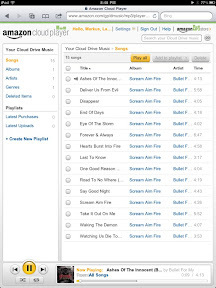 Nice at Amazon is that they offer music to buy, when you buy you can choose to download the song or to move it in your music cloud. Google music installer is much nicer on the mac than the amazon version. 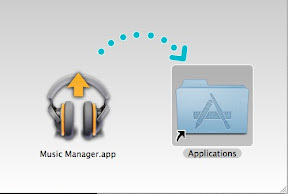 When you download the DMG file it will unzip automatically and when it is done it asks you to drag an drop the app into application folder. Pretty easy the install. The app settings are actually stored in System settings which makes it easier to access. 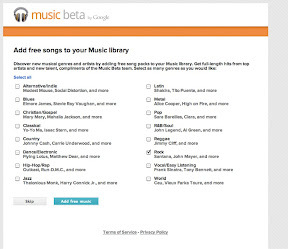 Google music will ask you, when you first start the uploader, if you want to use your iTunes library. If yes it will scan your library, regardless if external or internal HD it finds the library. The scan is much faster than with amazon, but you are limited to 10.000 songs (just %25 of my songs). 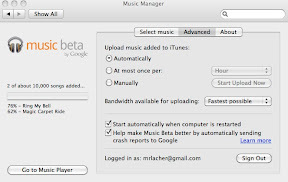 Google does upload files better in background than amazon and you have the option to automatically upload new iTunes music to google. 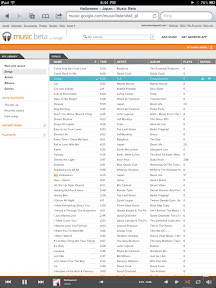 You get up to 1.000 free songs, when you first sign up for your google music account. I selected to upload 10,000 songs to google (which is max) and after 14 hours I had just 1675 songs uploaded. This will take a while. But seems still faster than Amazon. 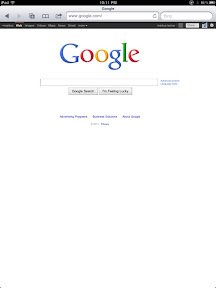 However I like the google UI a little better. But Google has as well a few seconds delay before the first song starts. But Google does not sell music, you would still need to buy it amazon or iTunes. Both services have androids apps but no iPhone or iPad app. But both work over browser on iOS devices which OS good. Amazon is free up to 4.5GB, Google has 10,000 songs free (what if each song is 300 minutes, will it be still 10,0000?). The third big music cloud player will be iCloud from Apple. But Apple will work slightly different by letting the user download first the song before it plays, to avoid streaming. We will see how this will work out. Google is for me a good alternative at work, hence my iPhone has only limited songs on it. Hopefully Google will extend the memory to more songs, but on the other side it is a free service and 10.000 songs is a lot. However it is not more than the iPhone or other smartphones usually can hold. To get users to move their music in the cloud would help, if the data storage is unlimited or would exceed what we usually have on our phones. Apple is promising that you pay once and then you can have as much as you want. 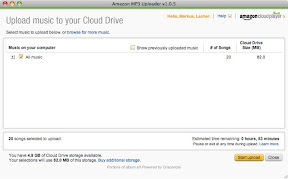 Amazon neither Google is upgrading your songs. The quality you upload the quality you get. With Apple you don't need to upload, they compare your song with their songs in the cloud which are always high quality. Therefore you get always the best quality. Of course there are songs which Apple does not offer in the US or even not available at all, these song you can upload into your iCloud account according to Apple.